Wisconsin Manufacturers and Commerce (WSC) named October Manufacturing Month in Wisconsin and hosted a number of events to help raise awareness about the largest contributor to our state's economy. As we look back, we are pleased to see organizations throughout our state celebrate and promote the manufacturing industry. According to the WMC Foundation, manufacturing in Wisconsin employs more than 460,000 people and creates $56 billion in economic output; and Wisconsin is poised to grow its manufacturing base. We’ve had the opportunity to work with a variety of companies from yacht manufacturers to aluminum foundries to food manufacturers to producers of kitchen, bath and decorative products. 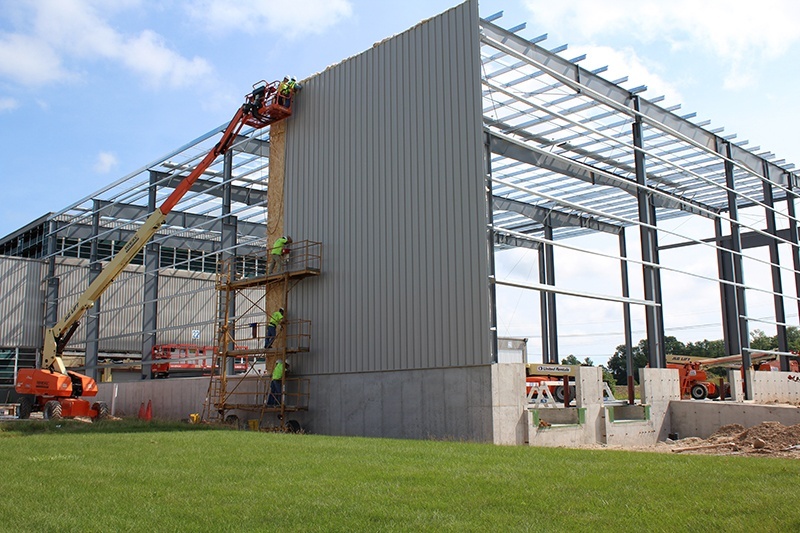 Understanding the complexities of industrial and manufacturing construction is key. When custom design and tight construction schedules coincide with your budget (we haven't seen a project where it hasn't), your construction team needs to be just that: a team that will work with you from the very beginning of your concept through feasibility, budgeting, scheduling, value engineering, construction and post-construction. When you embark on constructing a new facility or an addition / renovation project, there is a lot at stake. 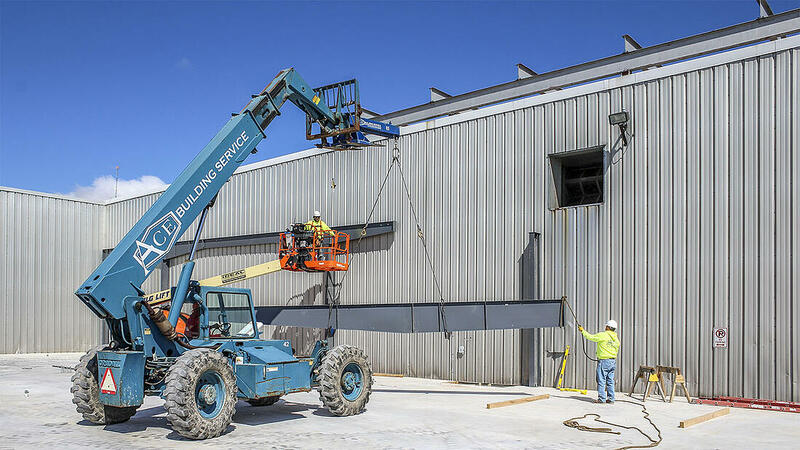 Each project has its own unique challenges and you need a commercial contractor who can identify those complexities before they can create problems on the jobsite that result in going over budget and/or impacting the project's construction schedule. So, how do you choose the right contractor—one who can understand your company’s needs, can work within your budget, meet your deadlines, work as a team player and provide solutions and innovations along the way? If a contractor doesn’t return your initial phone calls or emails, keep looking. You want a reputable company that stays in constant communication throughout all aspects of your project. The best contractors will be open and always striving to keep their clients informed. Typically, you will have an individual (project manager and executive in charge) or an entire team assigned to your project that will manage it from start to finish. If a company is not quick to provide you with information about your construction project, search for a more reliable company. While it may be tempting to hire the lowest bidder, low costs do not always result in a quality deliverable. It’s important to remember the old adage: “You get what you pay for.” Look for aspects of the bid that are not transparent and ask questions to ensure the contractor is able to work within your budget. Does the bid cover all your project needs? Are any items left out or left for later? A good contractor will want to drill down into the details of your project to do quality cost estimating, so be prepared to answer a lot of questions and be specific about your needs (immediate and future) and your preferences. A bad contractor will dodge your questions and push to start working. If a company is unable to provide you with references from previous projects, this may indicate a lack of client satisfaction or inability to complete a project on time or on budget. Regardless, seek a contractor who has a high customer satisfaction rate and is open with sharing recommendations from previous clients. Don’t hesitate to conduct this research on your own by searching their website or other review sources. Once again, ask questions of a potential contractor—doing your homework ahead of time will save you hassle and money in the long run. Members of Associated Builders & Contractors (ABC) and the Construction Leadership Network (CLN) take advantage of advanced safety training, focus groups and peer roundtables on subjects such as project management, technology and innovative techniques. These contractors are typically at the top of their game and stay there by honing their skills and certifications each year. If a contractor is not involved in trade associations, it may indicate their lack of desire to remain updated on the industry—which could mean you end up with a subpar deliverable. In addition to the items listed above, your contractor should understand what the best delivery system will be for your project. Tight budget and schedule? 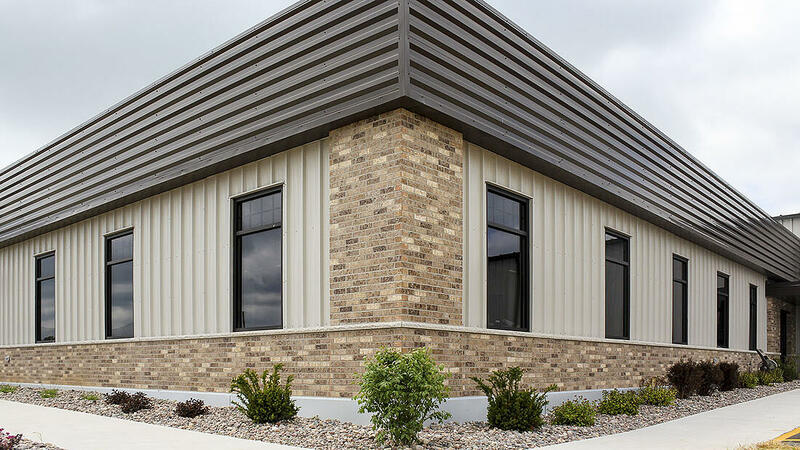 A pre-engineered metal building using design-build delivery may be the best option for you. Considering a new facility? 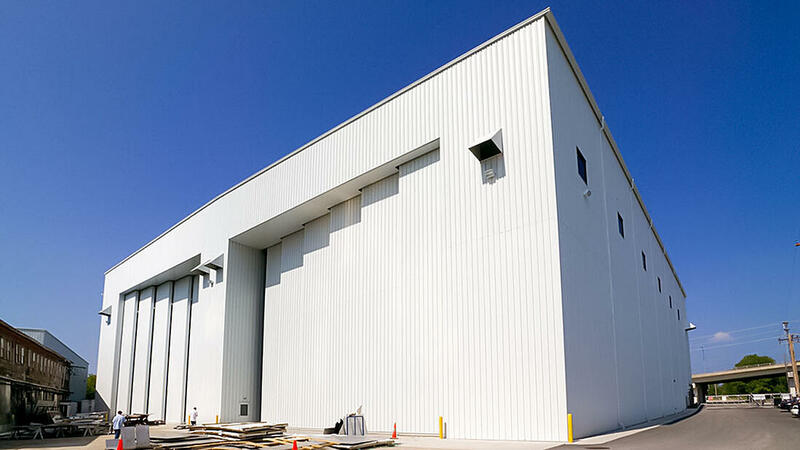 A qualified contractor can help you explore other options, such as an expansion or renovation of your existing facility. Your contractor should be your trusted advisor. 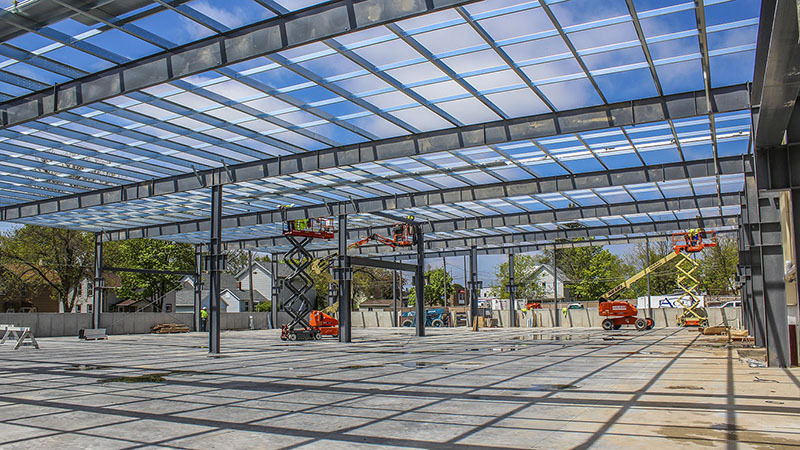 Whether your project is large or small, there are some distinct advantages to hiring a commercial general contractor. Managing a construction project is an enormous responsibility that requires highly specific skills and knowledge, not to mention a tremendous amount of time and patience. At A.C.E. Building Service, we strive to provide top quality customer service all while delivering an end result that exceeds expectations. If the thought of handling it all yourself is overwhelming, know that you don’t have to do it alone. Hiring someone to help you take on the challenge means replacing that stress with confidence. Qualified contractors know the building process from start to finish, up and down, left to right. 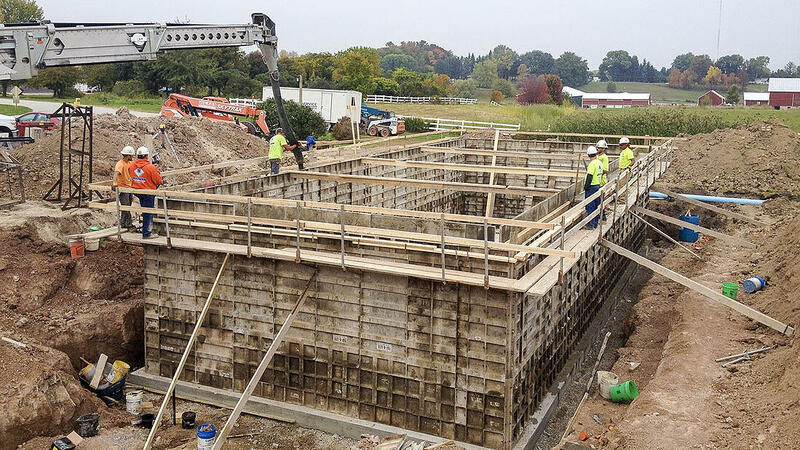 They can help you secure all the necessary permits and approvals prior to construction, and can help you understand the challenges posed by your site (poor soils, ledge, stormwater issues). They get you past inspection and they know which subcontractors to hire (and how to work with them). That unforeseen roadblock that could bring your project to a halt? Yeah, an experienced contractor has seen it—and handled it—before. When deciding how to select the right contractor, choose the one you can trust; the one who gives you confidence in the success of your construction project—and can ensure you will welcome the next one. 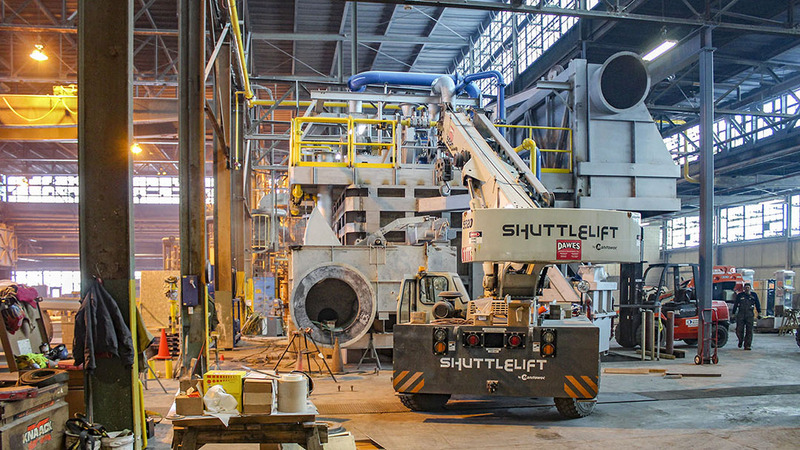 As you can see, industrial projects come in all shapes, sizes and configurations. A competent contractor will have the experience under their tool belts to know how to solve for problems that can, and will, arise at almost any stage of the construction process. A contractor who has “been there; done that” has an advantage over those who do not have the depth of experience in the industry. At A.C.E. Building Service, our reputation is our foundation…a reputation that started in Wisconsin in 1963 and has continued to flourish throughout the decades. A.C.E. 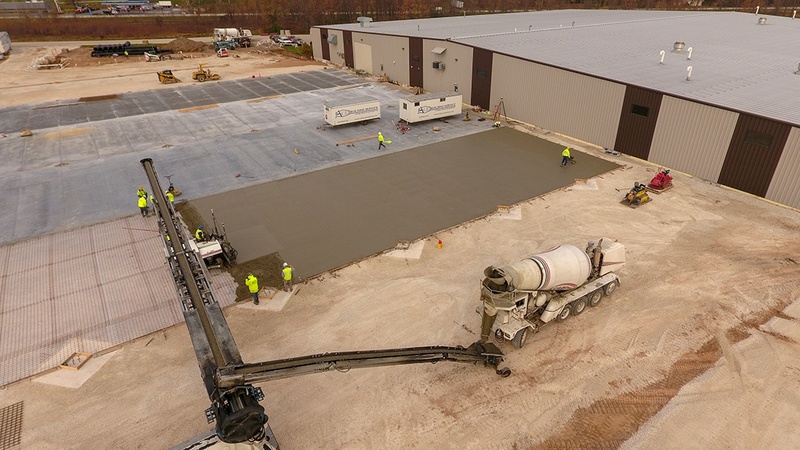 offers commercial and industrial construction services to owners and facility managers in Green Bay, Manitowoc, Sheboygan and the Lakeshore area. Our customers will attest to the fact that our ability to listen carefully to their needs has kept them coming back to us as their preferred design-build contractor. Integrity, trust, fairness, honesty, reliability, responsiveness and respect—these are the qualities to which we remain true. We welcome the opportunity to talk to you about your project. Interested in learning more? Download the “How To Choose The Best Contractor For Your Industrial Project” guidebook with a handy checklist of questions to ask when choosing a contractor.